It is Better to be Hated! We often hide our authentic selves as we fear judgement and rejection. The world describes what is acceptable, lovable and beautiful and we scramble to hide those parts of us that fall outside of these fickle demands. We crave the unconditional love and affirmation of our true selves, yet this can never be experienced if we never show our realness and open ourselves up to be fully known! 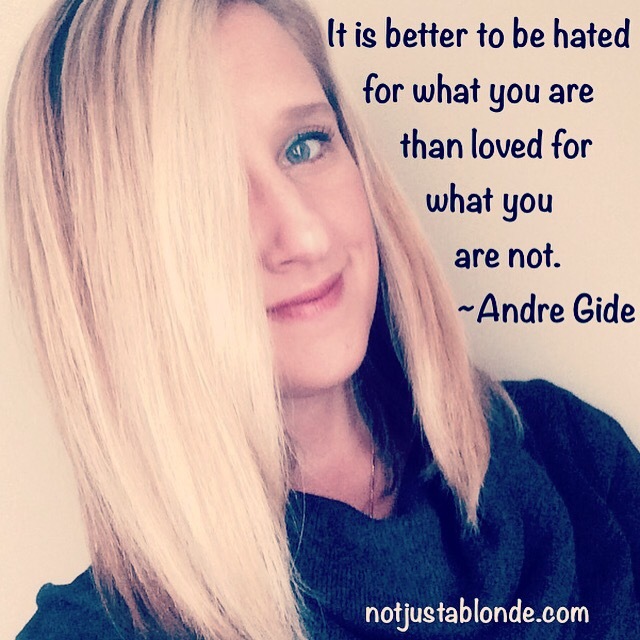 No one wants to be hated, yet if we are ever hated at least we have been authentically recognized! Unless we risk rejection we will never know the joy of expressing the uniqueness and beauty of our true selves. Unless we risk hate, we may never know what it feels like to be truly loved. I can’t say that I’ve perfected this … but to feel even slightly more accepting of yourself can be liberating. Live as your true self. It’s a scary ride at times but I’ve found it’s easy for me to see the beauty in it. When others see it? It’s that much sweeter. Rock on.